Digital Notebook: Are More Businesses About to Open on High Street? Are More Businesses About to Open on High Street? The former Brick House restaurant has been vacant since 2017. It looks like there may be some movement in a new business occupying 152 E. High St., the site of the former Brick House restaurant. A legal notice published in The Mercury Friday indicates that a public hearing will be held before Borough Council on March 11 for the transfer of a liquor license to the site. For 10 years, The Brick House welcomed visitors to downtown Pottstown from the southern gateway to town since it opened in 2008. It's closing was announced in September of 2017 and it has remained vacant, although rumors about a new restaurant have circulated around the borough almost since The Brick House closed. The property was purchased on April 29, 2015 by 860 Lancaster L.P., of Bryn Mawr, which paid Matlack Properties $1,050,000 for the 26,371 square-foot parcel. Matlack Properties had purchased the building in 2010 from Pottstown Development Group L.P., according to Montgomery County property records. Property records indicate the assessment is $870,250. 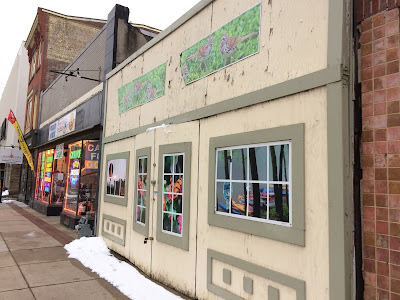 The property was redeveloped with the help of a tax increment finance district, or TIF, which slowly increases the property assessment to keep the initial tax bill low to encourage redevelopment. According to the legal notice, the liquor license is being transferred from 64-66 E. Lancaster Ave. in Ardmore, Lower Merion, which is the address of the Mikado Thai Pepper restaurant. The company requesting the transfer is listed only as WIN Global Investment LLC, with a registered address of 704 Sturbridge Dr., Bryn Mawr, which appears to be a private home, according to Google Streetview. That is the same address listed for 860 Lancaster L.P., the building's owner. 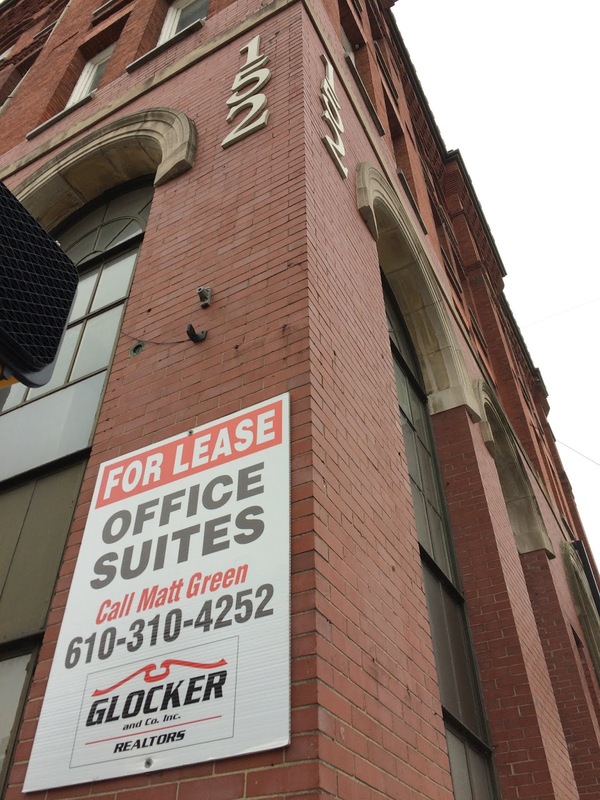 The upper floors of the former Security Trust Bank building have been occupied by offices since it was renovated by Pottstown Redevelopment Corp., founded by John Wolfington, which lost the building when the bank holding the mortgage foreclosed. Tenants there include the Pottstown Area Health and Wellness Foundation, the TriCounty Area Chamber of Commerce and Pottstown Area Industrial Development, the borough's economic development arm. 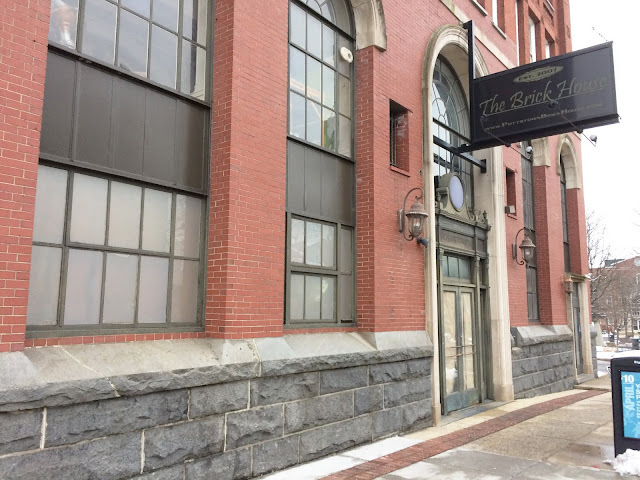 In 2010, Dave Walsh, the entrepreneur who opened The Brick House, tried and failed to buy the building. He and his wife Blair still operates another restaurant, BlackJax on Route 422 in Amity. And 152 High is not the only place movement seems to be in the wind. Several people have reported seeing activity at the site of the former Slack Shack in the 200 block of High Street. The gap in High Street's streetscape is covered with a faux front, but several people have seen the doors open and activity inside. Rumors of a beer garden have made the rounds, and recently, a well-placed source has suggested that a new structure will not necessarily be built in the vacant lot, made so when the Slack Shack burned down decades ago. That would seem to give further truth to the rumor, but we won't know until it happens, or doesn't. Approached about the recent activity, Peggy Lee-Clark, executive director of PAID, was tight-lipped, but suggested that several long-rumored investments are about to get up and running. "In a few months, people won't recognize High Street," was all she would say. During the Feb. 6 borough council meeting, she did say she had received a complaint from an investor that "there's nothing left to buy on High Street." Keep your fingers crossed folks. I am all for this. In an advertorial about the Montgomery elks, mr. Hulton stated that there were "oodles" of bars in town and that we did not need anymore. It's good to hear that the former Brick House site may may soon be active again. It is a great building and location. Looking forward to seeing what develops there.